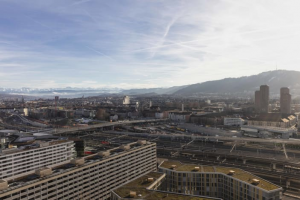 Ever fancied living in a modern apartment high above the rooftops of Zurich? 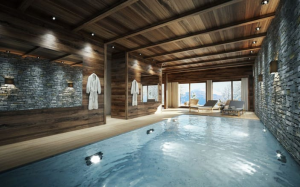 Tempted by a getaway to a luxury chalet in Crans-Montana? Or simply want to discover some extraordinary new homes? Check out these five amazing properties we’ve put together just for you! 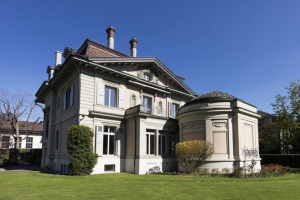 This urban mansion with a guest house in tow is situated in the charming Kirchenfeld district of Bern, Switzerland. 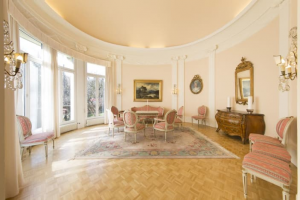 Designed by the Bernese architect Henry Berthold von Fischer in 1903 during the “Belle Époque” period, the property is built in neo-baroque style and boasts a living space of 532 m² on an incredible total area of 1,962 m². 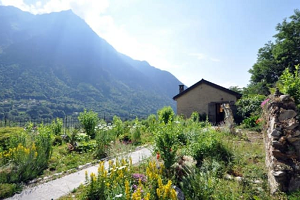 The enormous garden together with the guest house top off this piece of real estate bliss. With living quarters characterised by antique furniture and unique wall decorations, you can live like royalty. When it comes to this apartment, the name really says it all – “22 nd Sunset”. 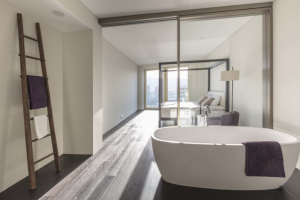 A state-of-the-art apartment on the 22 nd floor offering stunning views over the city of Zurich – who doesn’t want that? 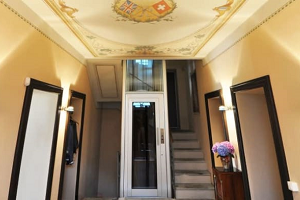 Located in Zurich West, the Swiss city’s hippest neighbourhood, the apartment offers 4.5 rooms over an area of 204 m². 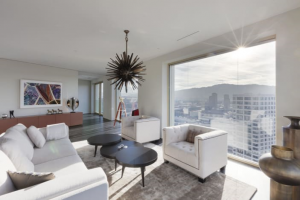 Built in 2010 and equipped with the most exclusive materials, the apartment’s major selling point is its large windows, which flood the home with light and offer spectacular sunsets. 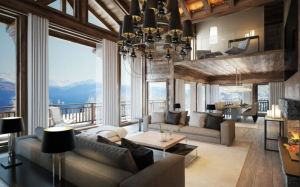 A magnificent luxury chalet in the winter wonderland that is Crans-Montana – only here you can you truly relax! 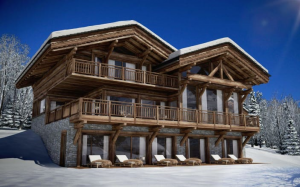 With 8 rooms over 3 floors, a balcony, seating area and an indoor pool, this chalet offers an exceptional atmosphere in an idyllic environment. The level of luxury and the incredible mountain views will turn your winter holiday into an unforgettable experience. Its location is also ideal for relaxed skiing days and beautiful walks. From a country farm to a high-end farmhouse – rustic on the outside, but cutting-edge inside! 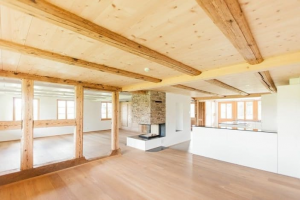 Located to the west of Bern, this farmhouse, which was remodelled in 2012, is perfect for those who want to live and work under one roof. The front building boasts a modern apartment with 8.5 rooms spread over two floors, the glass ceiling offering a unique view of the beautiful roof structure. 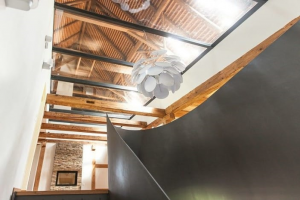 The rustic wooden beams together with the modern touch provide the perfect mix. What were once the stables have even been converted into superbly finished rooms, free for you to use as an office, studio or gallery. 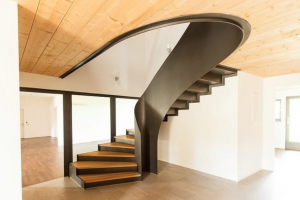 This luxurious villa is situated in the wonderful area of Acquarossa in Tessino, with a panoramic view of Valle Blenio. 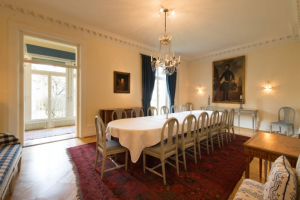 Tastefully restored in 2013, the villa offers 500m2 /1640ft2 of floor and living space with a garden, terrace and a backyard with three parking spaces. 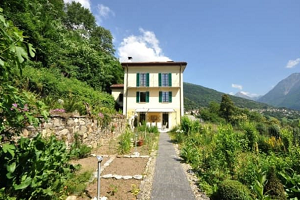 You can romp to your heart’s content on the amazing grounds spanning 813m2/2,667ft2. The Mediterranean atmosphere and green surroundings will put you in vacation mode for sure. Long summer evenings spent lounging outdoors are yours for the taking!